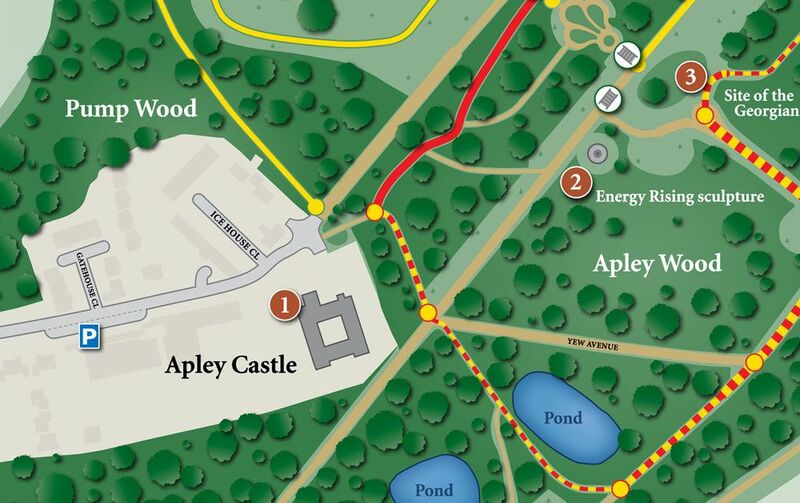 We have installed four information panels at the key entrances around the woods. 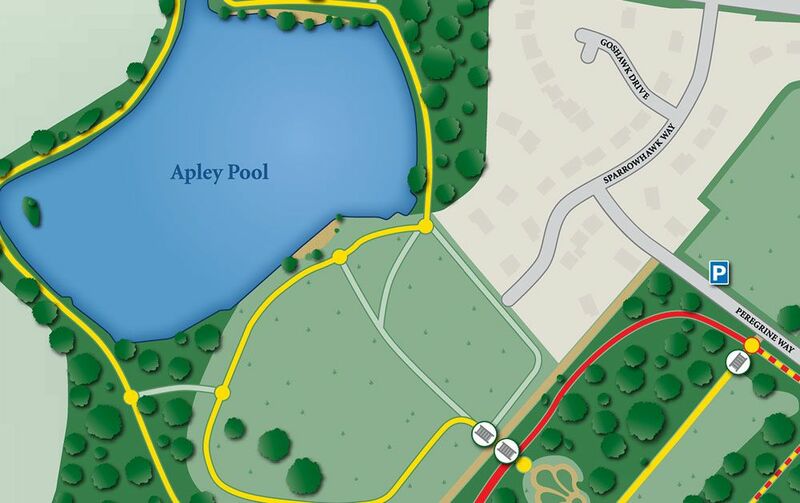 Each panel is designed to help you find your way around Apley Woods, giving an idea of some of the areas historic features, points of interest and suggested walk and accessibility routes. A 40 min walk across meadows. A 20 min walk across level areas with no steps and ease of access. This walk is suitable for pushchairs, wheelchairs, mobility scooters and buggies.